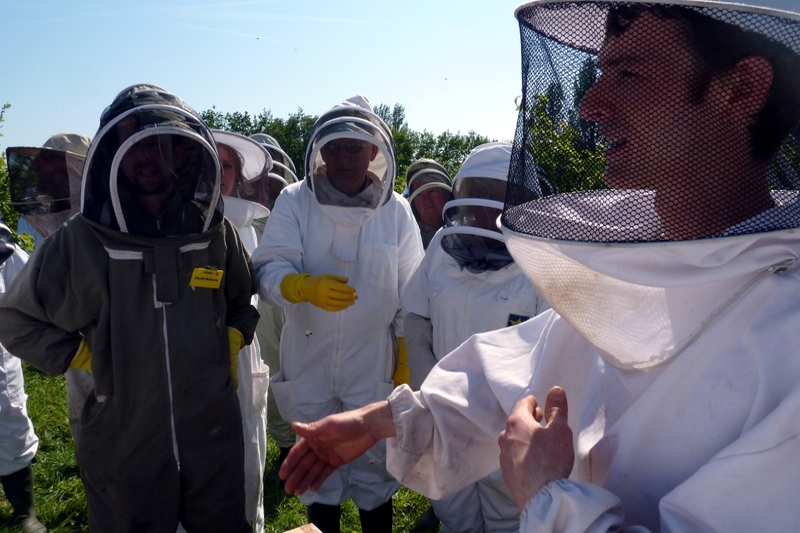 Elvin explaining the principles of the Warre Hive. 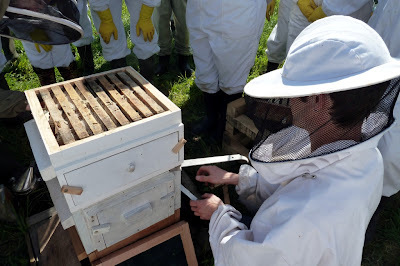 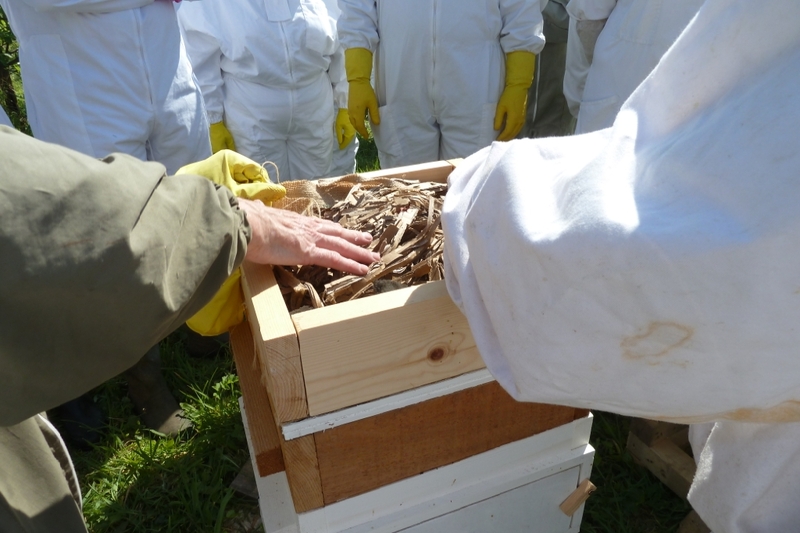 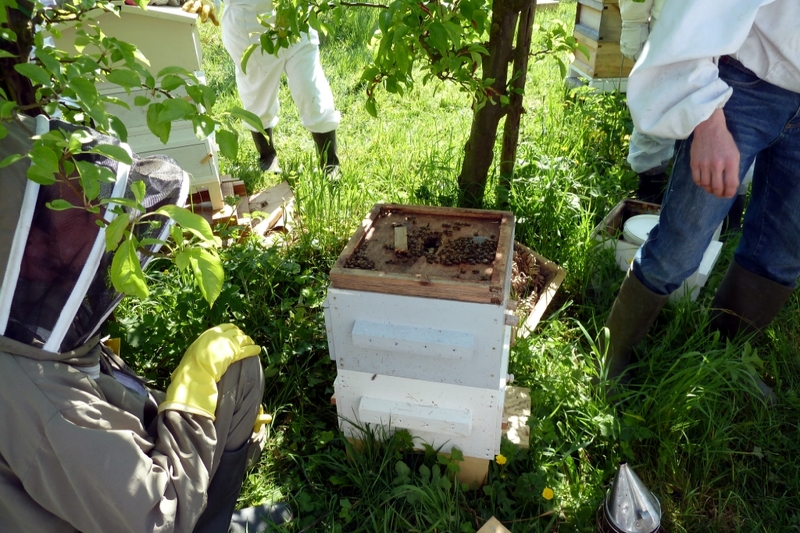 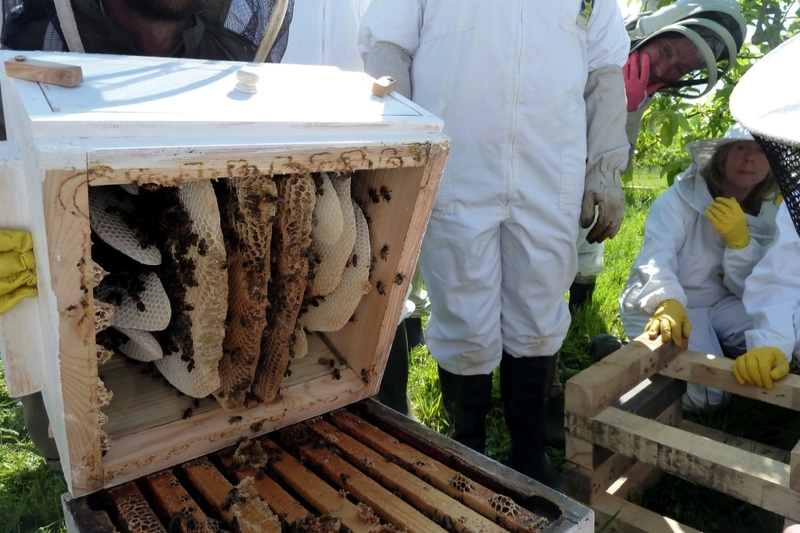 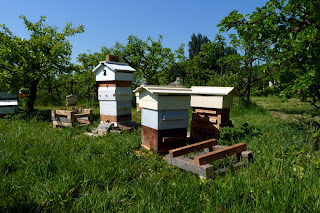 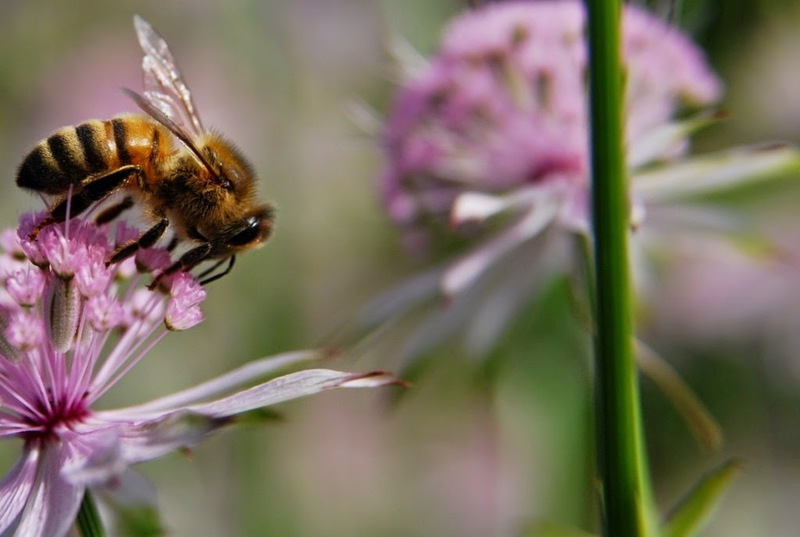 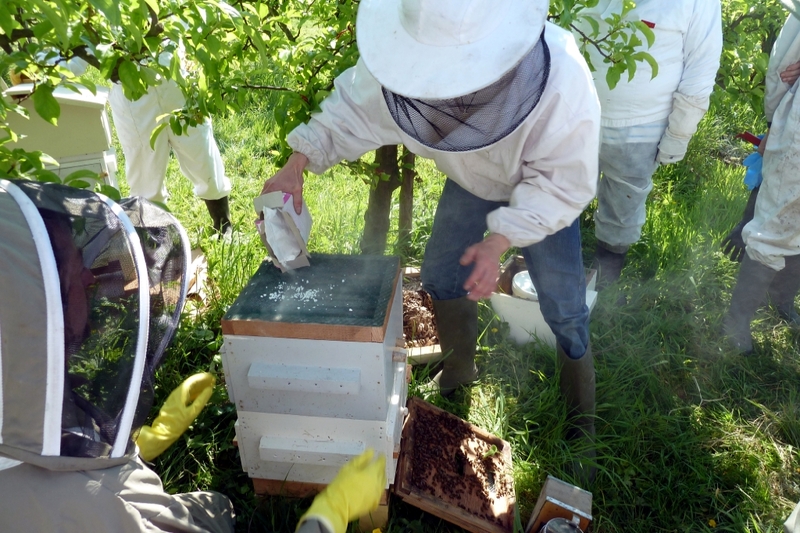 During this month's meeting, we also had the rare chance to look inside a Warre Hive. Observing through one of the panels. Demonstrating varroa control with icing sugar. 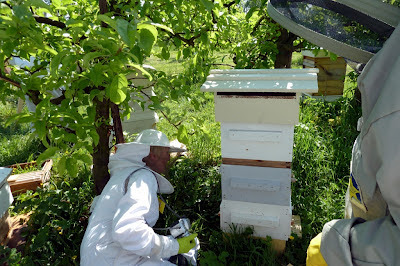 Top insulation layer of Warre. 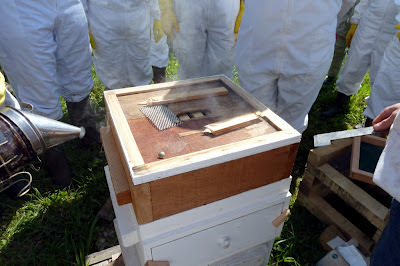 Smoking in preparation for opening hive. Getting ready to show the comb: a two men job! Natural comb in the Warre.